An independent team of building professionals and listed building surveyors, H+R specialise in investigating problems in buildings, building materials and building occupancy. Founded in 1966, H+R are the market leaders in Building Pathology, listed building surveys and damp and decay, with particular expertise in Architectural Conservation. At H+R, we understand the delicate balance between preserving the historic integrity of a building, and finding an economical and practical solution to managing the cause of its deterioration. Our listed building surveys provide detailed information and recommendations, while our building scientists can offer sustainable solutions that eschew damaging interventions or chemical treatments. The focus of our work is to preserve the original building materials and methods of construction, particularly where these are of architectural or historical significance. Wherever possible, we use non-destructive methods to investigate a problem, from piloting drones to employing our trained Rothounds. In cases where intrusion is unavoidable, we take care to use minimally invasive techniques to limit damage. Our team members come from a variety of disciplines and have a wide range of skill-sets that include special interests in traditional materials, timber identification and strength grading, damp management, heritage and listed property, fungus and insect classification and conservation methods and material science, to name a few. 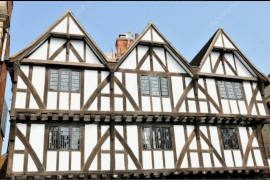 Our staff are conservation accredited by the Royal Institution of Chartered Surveyors (RICS) and are members of the Institute of Historic Building Conservation (IHBC). 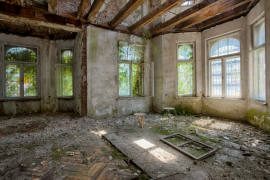 To support the in-house expertise of the H+R team, we frequently work with a wider network of specialists, academics and laboratories to provide every client with the most accurate and thorough property report. 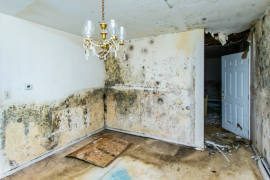 In the long term, our work makes remedial work easier and keeps client costs down by helping them to avoid unnecessary or ineffective solutions. 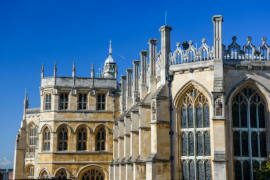 We have worked on a diverse range of properties across the country, including national landmark buildings such as the Tower of London, Windsor Castle and Brighton Pavilion, as well as churches and stately homes, terraced houses and barns, ancient monuments and standing ruins. Among our varied client base are a large number of heritage organisations including The National Trust, English Heritage, Cadw, Historic Environment Scotland, as well as The Royal Household, Crown Estate, Church Commissioners, Natural England and central and local government bodies. In addition to providing a range of services to the heritage sector, we regularly advise private householders and property owners as well as the commercial property sector on both historic and contemporary buildings. For professional assistance with heritage property anywhere in the UK or abroad, or to discuss your particular building with one of our experienced listed building surveyors, contact us for more information. I have known and seen work undertaken by Hutton+Rostron for over 20 years. I have always been impressed by their professional approach and depth of knowledge in the field of building surveys and pathology. Tim Heywood, Associate Director – Mace Ltd.
H+R have provided a great service; I’m particularly happy with the high level of technical knowledge of their staff and willingness to take time to explain what they are doing and why. I thoroughly recommend them. 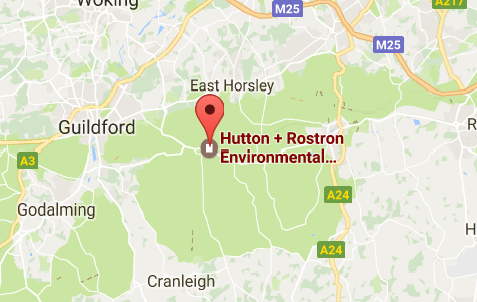 We have worked with Hutton + Rostron over many years now, and find them knowledgeable, professional, helpful and practical. They understand both the needs of historic buildings and the forces driving their alteration, which means that their expert advice is always framed in a suitable way. We greatly enjoy our relationship with them, and look forward to many more years of collaboration. When it comes to seeking expert advice on the condition of the timber in an old building we turn to Hutton+Rostron whom we know we can rely upon to give a thorough and efficient appraisal which we can then use to develop the scope of the repairs.